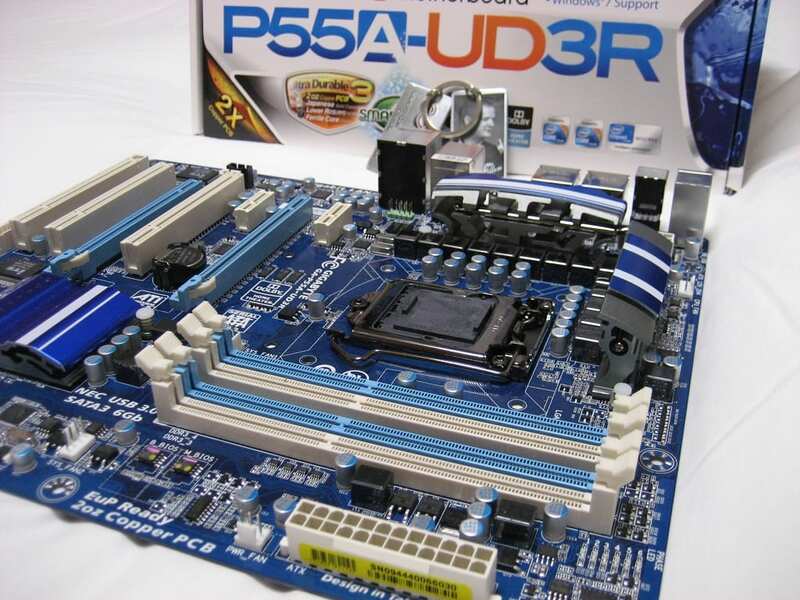 If you’ve been following my testing on Gigabyte’s latest gear, you’ll know that I started by giving the original GA-P55-UD3R a serious run for its money with some extreme overclocking. 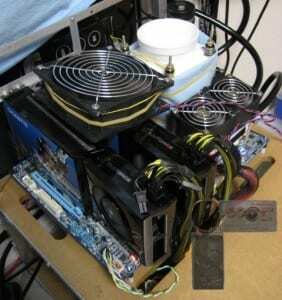 It left me very impressed, as I was able to set four i5 750 CPU world records. You can read that original review here. 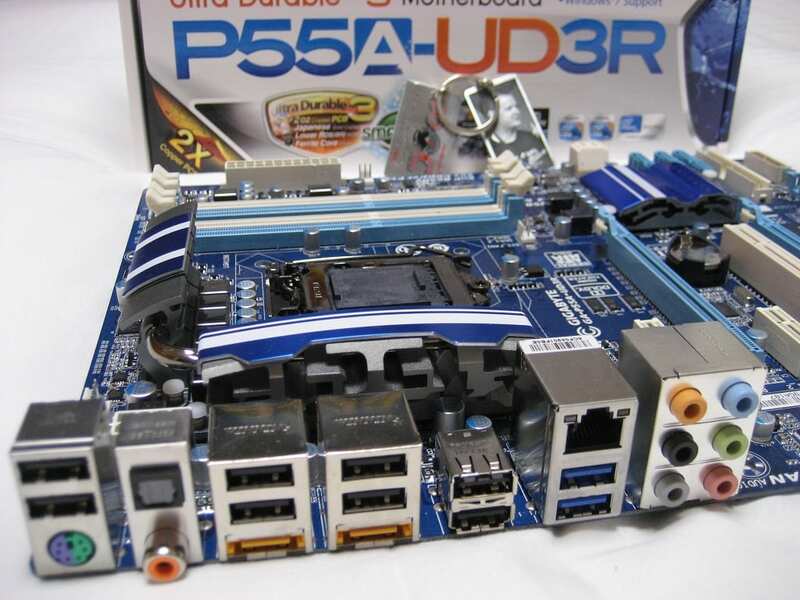 Gigabyte has been working hard ever since, and recently released an update to the original P55 recipe with an updated P55A line. One of the major technology updates is the inclusion of a USB3.0 or “SuperSpeed USB” controller onboard. I spent countless hours bringing you my original SSUSB investigation; please feel free to check that out here. There was lots of controversy over Gigabytes unique implementation via “Turbo mode”, and I also ran into a couple bugs during my testing. 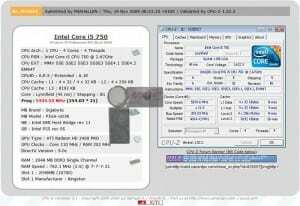 Gigabyte helped me work through some of my issues, and also provided a pair of Intel’s latest and greatest SSDs for some follow up testing where I really pushed the technology to its current limits. You can view the full article here. 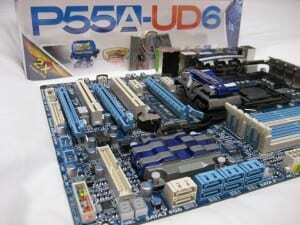 Today I close the loop on the GA-P55A-UD3R and the GA-P55A-UD6. I’ll also provide some comparisons to the original UD3R, as well as contrast the boards with a major competitor of the UD6, the MSI P55-GD80…read on! 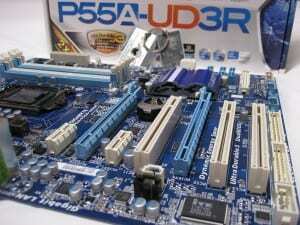 Let me start at the beginning with a quick introduction of the motherboards. 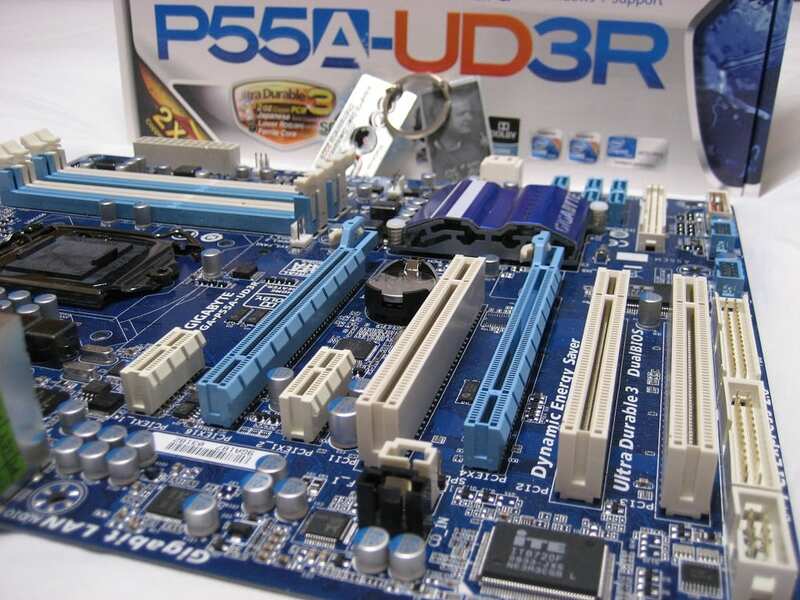 The original P55-UD3R is on the left. Its replacement is on the right. 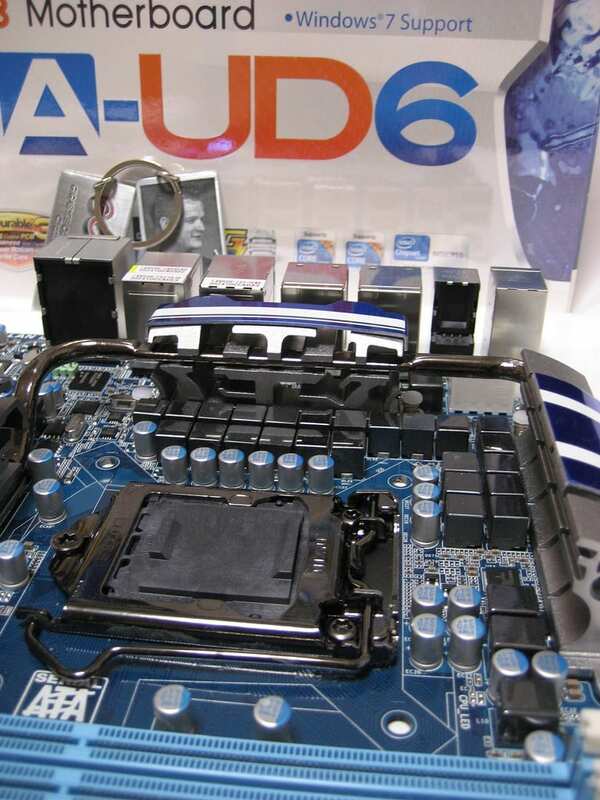 The top of the line UD6 is in the middle. 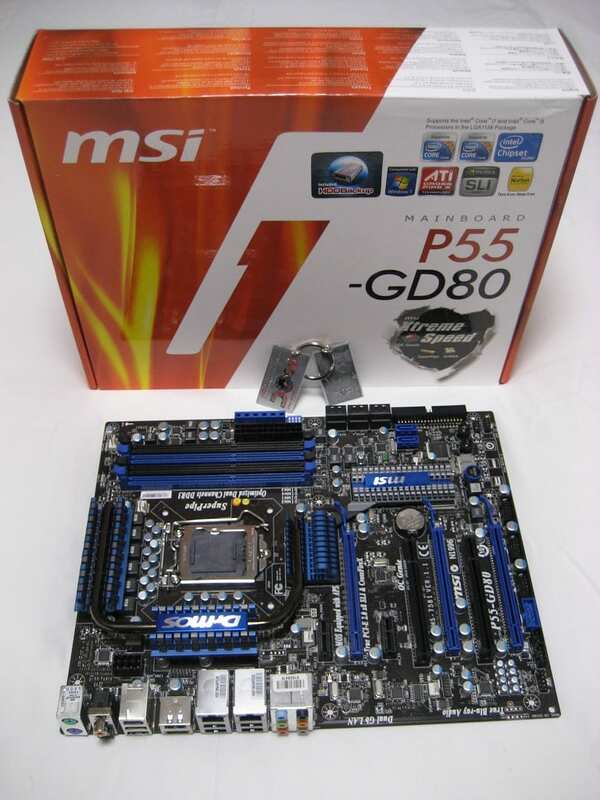 I’ll also be including some thoughts about the MSI P55-GD80 motherboard (on the left) for some competitive comparison. 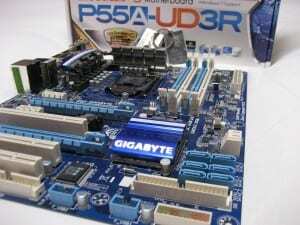 Here are the two new additions to Gigabyte’s line up, side by side with the MSI P55-GD80. 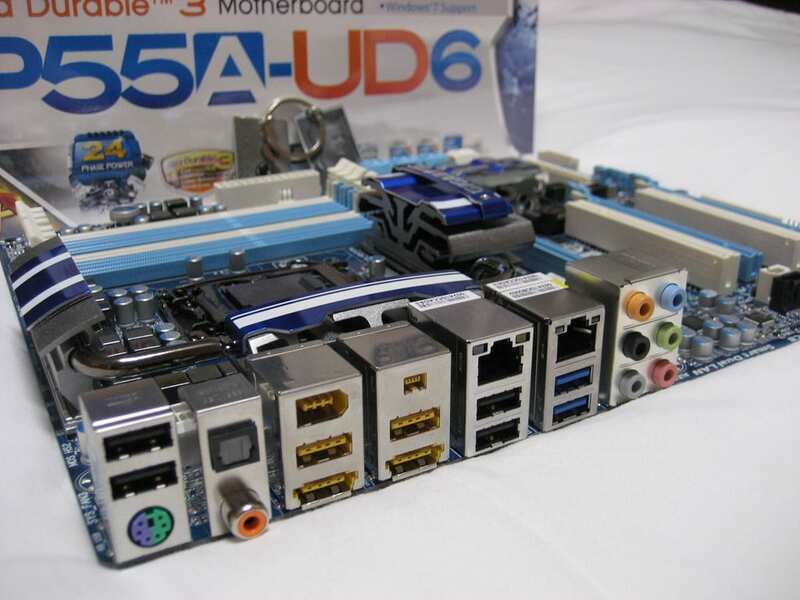 Back plane I/O layout, notice the two blue USB ports on each of the Gigabyte boards signifying USB3.0 compatibility. 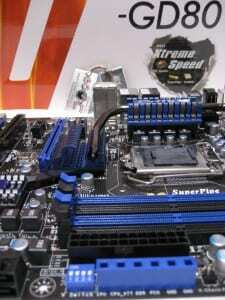 PCIe slot layout. 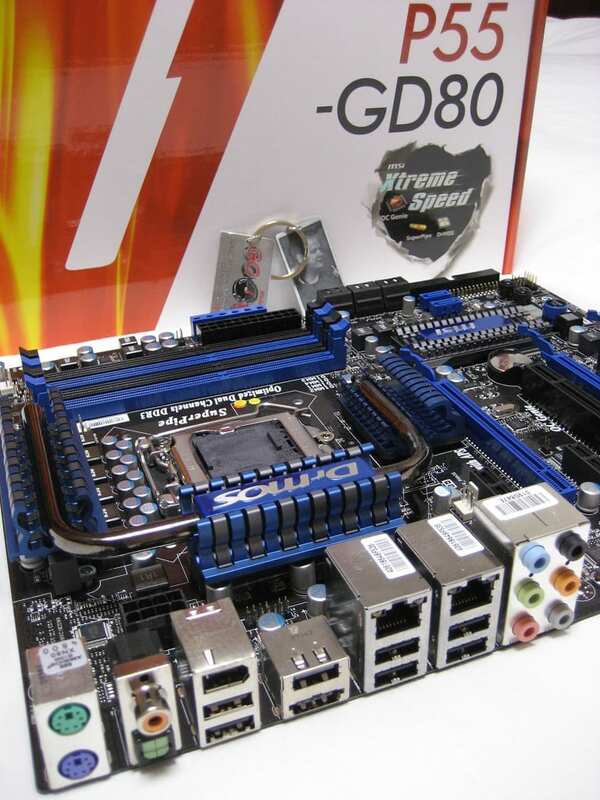 ATI Crossfire is supported on all three boards, but nVidia SLI is only supported on the UD6 and GD80. 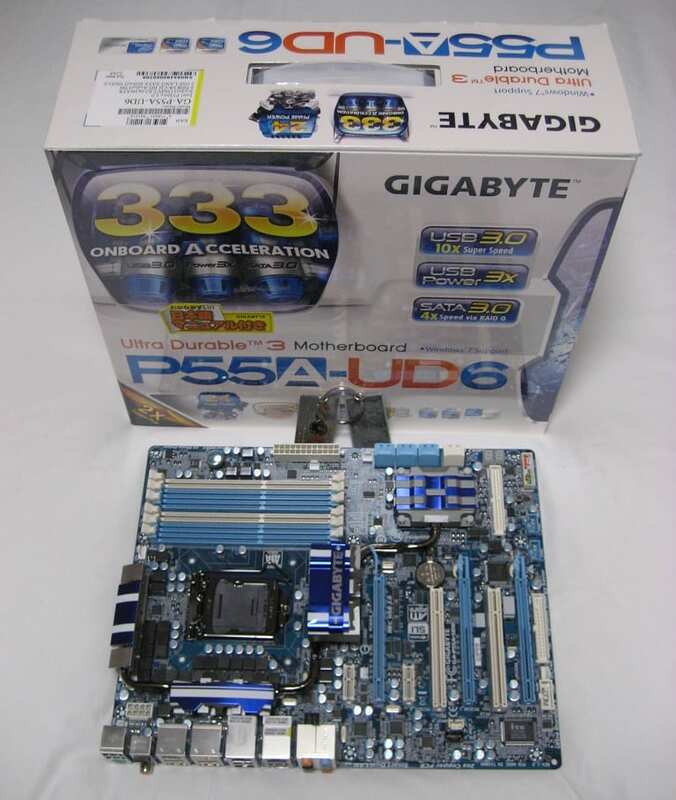 The long shot, both Gigabyte boards use their patented UltraDurable3 and 2oz copper PCB which uses twice the standard amount of copper per PCB layer. All three boards have some cool sounding new audio technologies built in, but I’ll leave that testing to someone better equipped. 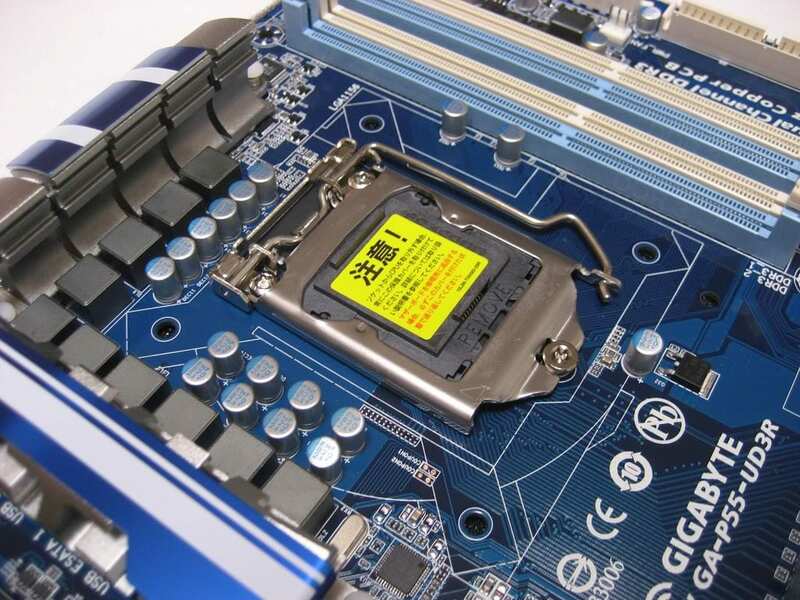 8 internal SATA2 connections is becoming standard these days, both of the Gigabyte boards support SATA3 6GB/s devices on the white “GSATA” ports via a Marvell controller. Also, notice 7 onboard control buttons on the GD80; clear CMOS, “OC Genie”, “+”, “-“, “Green Power”, reset, and power. The large “+” and “-“ buttons give easy access to on-the-fly bclock adjustments. The UD6 also has some onboard control, you can see the CMOS reset pictures above, and the large power button pictured below. 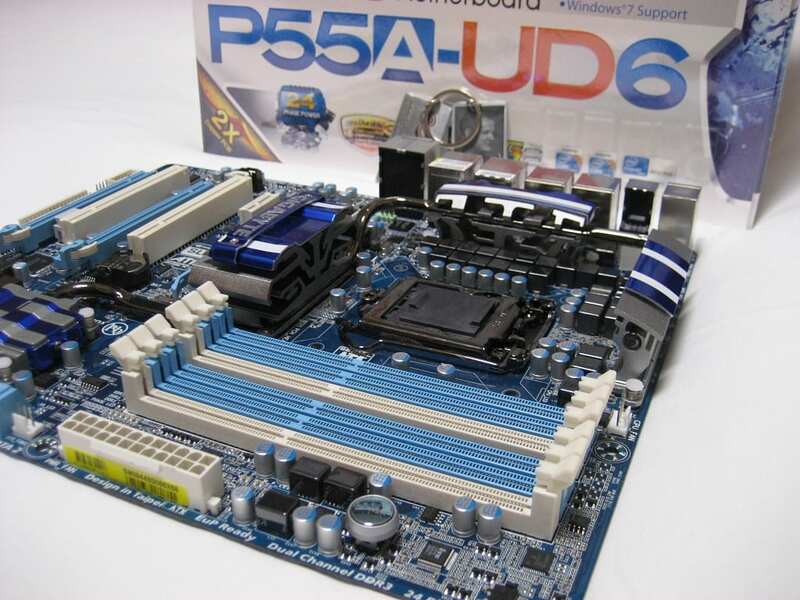 Notice the UD6 also supports up to 6 DIMMs allowing greater memory capacity, so although you could use triple channel memory kits, do not confuse this with triple channel operation of the Nehalem architecture; the memory will still only operate in dual channel mode. I’d also like to point out the convenient voltage dip-switches on the MSI board, as well as the read points for various voltages, very nice! The socket area of each board shows vast variance. It’s obvious the industry is still in R&D mode here with 8+2 phases on the GD80, 12 on the new UD3R, and 24 phases of power circuitry on the UD6! 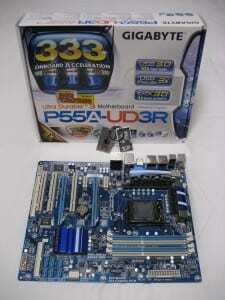 For comparison, here is the original P55-UD3R. 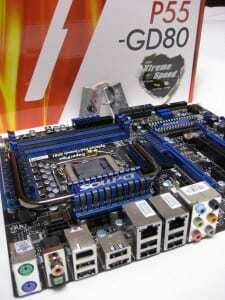 Like the GD80, the older UD3R uses a 8+2 PWM design. Well, that sub-title might be a little misleading, because this will be anything but a structured test. 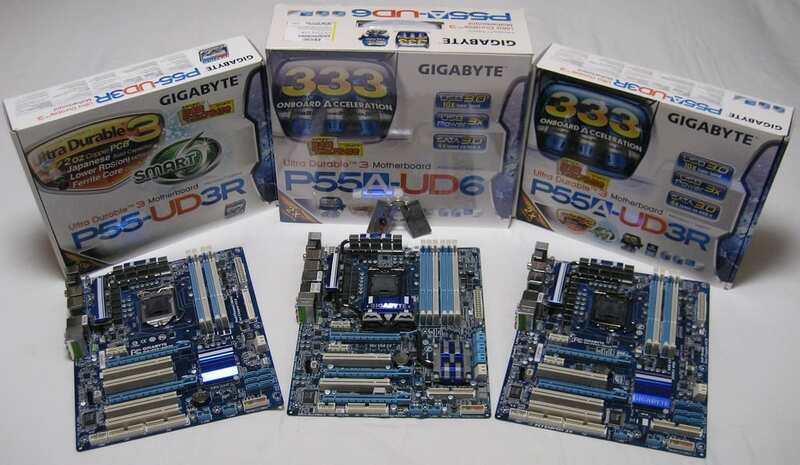 Rather, I used all three of these boards over the last few weeks in various configurations. I’ll show you some results, provide insight on my experiences with each board. And provide my subjective conclusions. 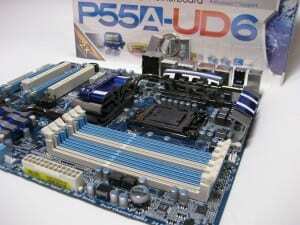 So to start, we have the replacement for my first P55 board, the UD3R. The day after the Gigabyte boards arrived, I put my i5 750 CPU into the new UD3R for some quick testing under liquid nitrogen. 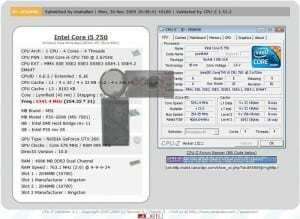 In my original UD3R review, I was able to attain a maximum CPU frequency of 5250MHz. With the updated UD3R, I was finally able to break the elusive 100% barrier with a CPU frequency of 5334MHz. 100% overclock means twice the stock frequency, or 2660MHz x2 = 5320MHz or higher. Previously, my best SuperPI 1M run with this CPU was a hair under 8 seconds at 7.969s at 5187MHz. 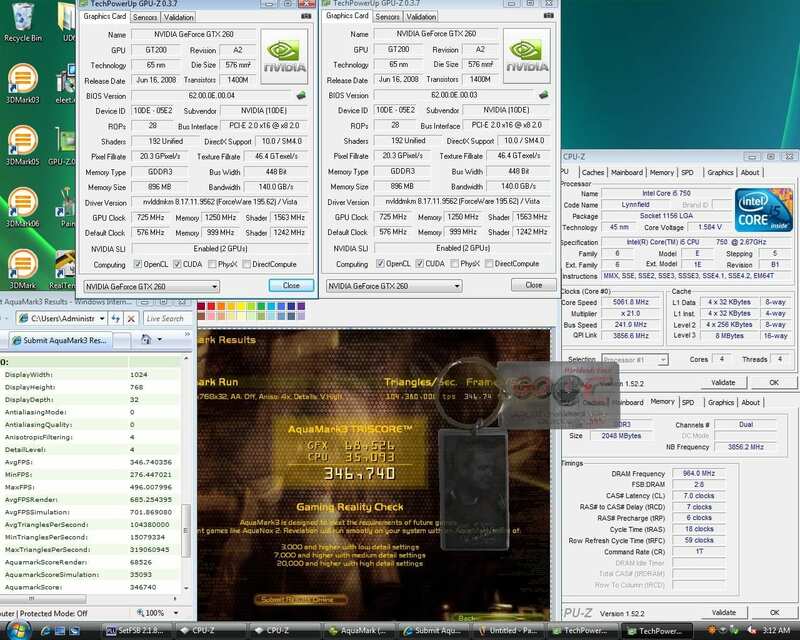 On the new UD3R I was able to improve that a bit with a run at 5229Mhz and 7.922s. 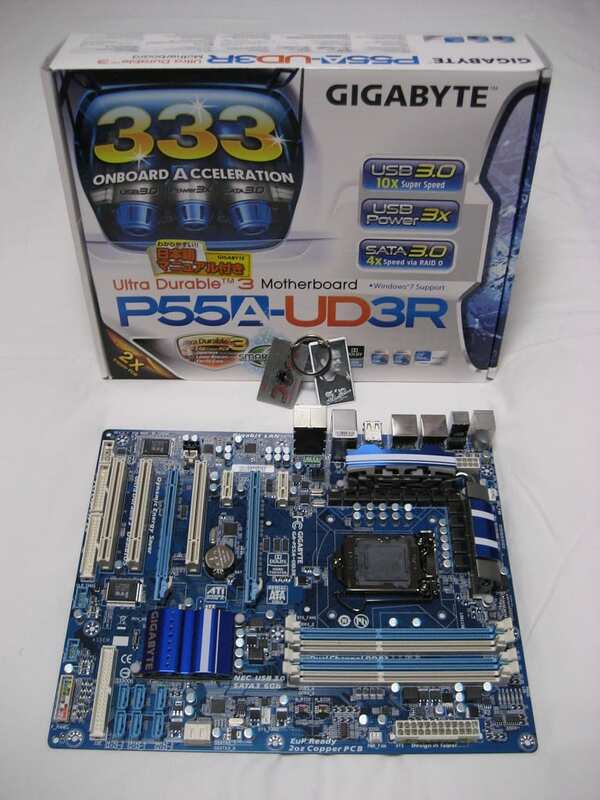 Lastly, I’d also like to point out my best SuperPI 32M score with this board, which is better than on the original UD3R…but by less than a second. I only went back to the UD3R one more time after that initial testing. I spent quite a bit of time trying to improve on my previous scores, but I was unsuccessful. It seemed to me that the original was every bit as stable as the new version. 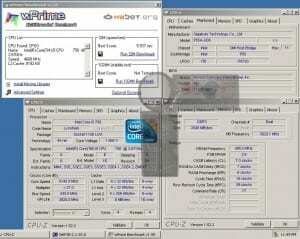 Even multi-threaded benchmarks like wPrime didn’t seem to do any better with the extra power phases. So, from there I will move on to the UD6. 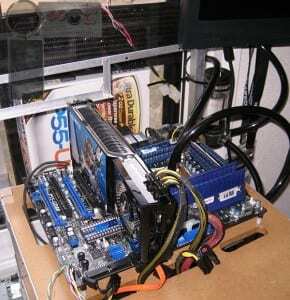 With this board, I had it set up with water cooling for about two weeks straight. I was doing a ton of testing with the new USB3.0 devices as I mentioned earlier. During the entire time, I was totally impressed with the board. It always did what I asked it to do. There were no surprises or hiccups that caused me to lose time or productivity. 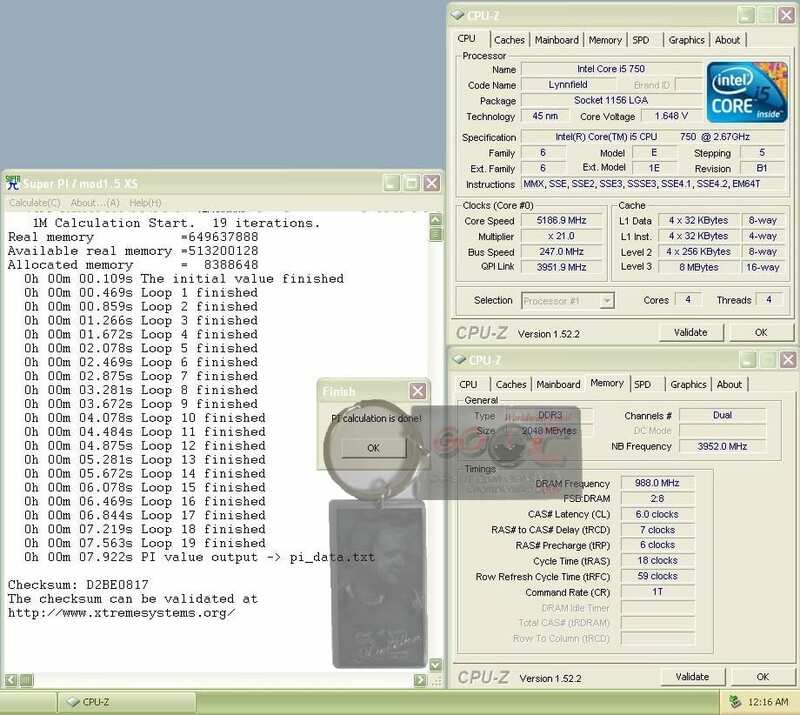 I was able to focus my attention on the testing at hand, and didn’t have to worry about the board performing like I wanted it to, even though my entire test suite was performed with a significant overclock of 4.4GHz on the i7 870…for all intents and purposes, it was stable! I was even able to set a personal best record with the board paired with my i5 750 CPU. That was in PCMark 2005, using two Intel 160GB G2 X25-M SSD drives. After completing my USB3.0 testing I was eager to put my golden i5 under LN2 on this board. 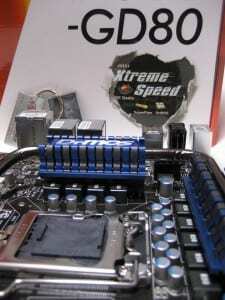 One thing that I really don’t like about most all Nehalem & Lynnfield based motherboards is the cold-boot-bug or “CBB”. 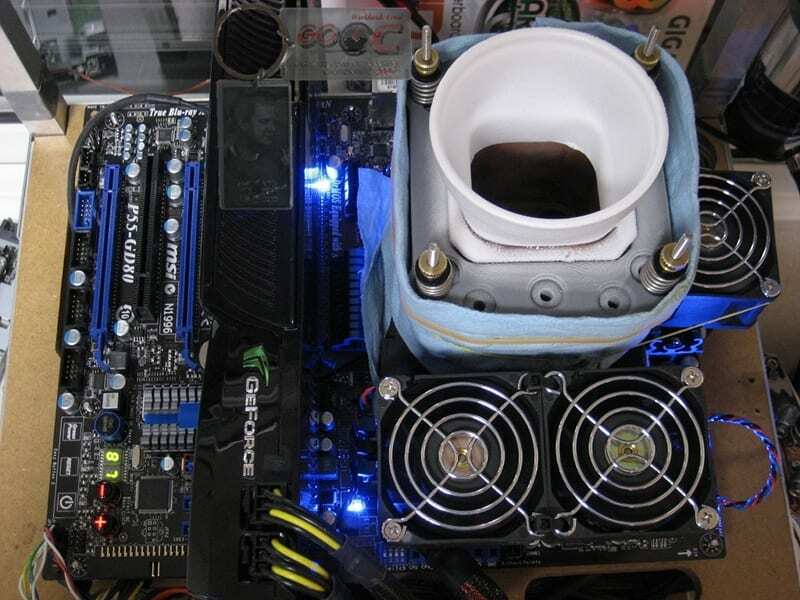 This is a phenomena where the CPU gets too cold, and the system refuses to boot. 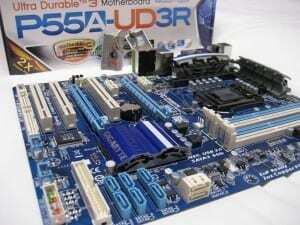 With the original UD3R, the CBB was around -65C. 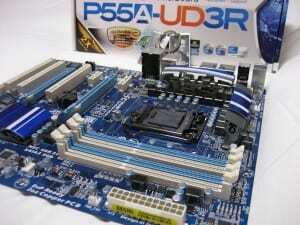 My biggest surprise and appreciation with this new P55A series is the CBB IS GONE! Zero CBB problems with both of these boards, and makes benching so much more enjoyable. I’m sure there is a CBB to be found, it just didn’t affect me in my testing. The cold bug in Windows is around -105C on my i5 750, but it performs best at about -85C. So crashing in the middle of wPrime at -85 would cause the temps to drop to around -90C, but that’s the lowest I went, and within these temps, there was no CBB. Unfortunately, my results were not very exciting. 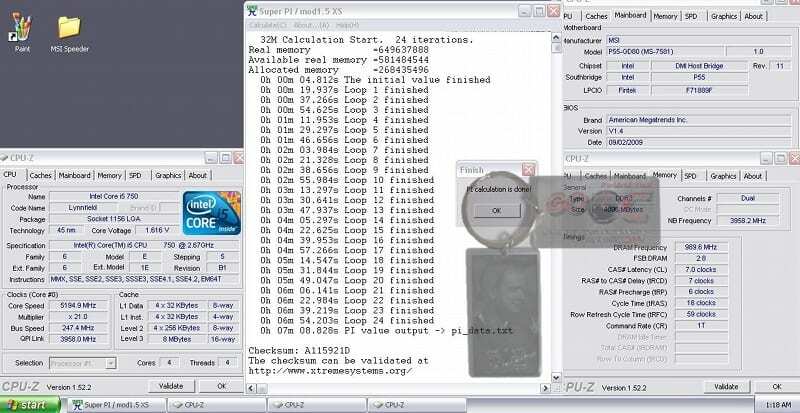 I was able to match the SuperPI 1M time from the UD3R, but only just. But, I think I was only able to match it because I used tighter memory timings…as you can see, my CPU frequency was not as high on the UD6. 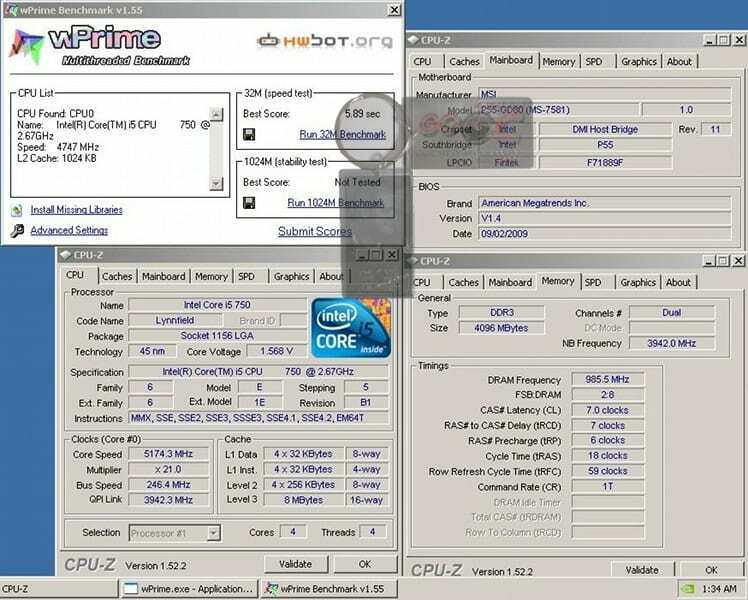 On a brighter note, I was able to beat the original wPrime 32M record I set with my i5 750 on the P55-UD3R, but only by 1/1000 of a second at the same CPU frequency. 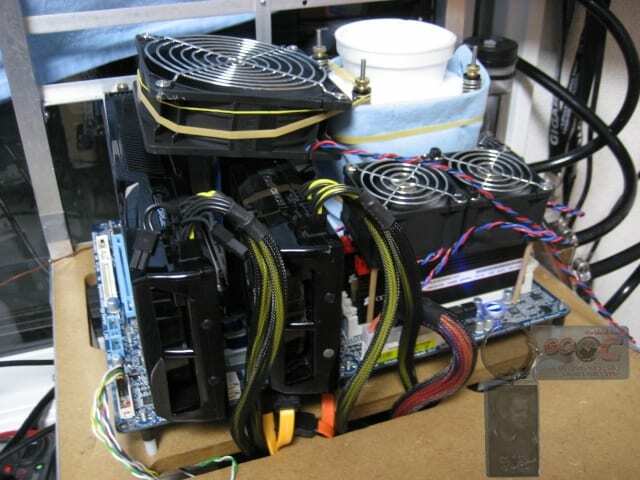 Somewhat disappointed, I decided to attack something that neither UD3R is capable of, SLI. 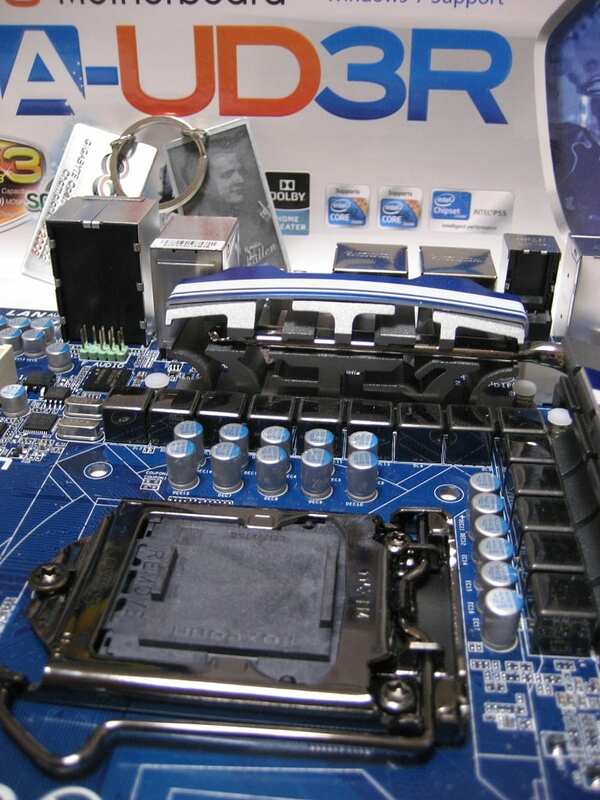 First up, AquaMark 3, where I was able to run my CPU at an impressive 5062MHz for a nice 346K AquaMarks. Next up, 3DMark 2003, where I was able to complete the run at 5053MHz for 92K 3DMarks. 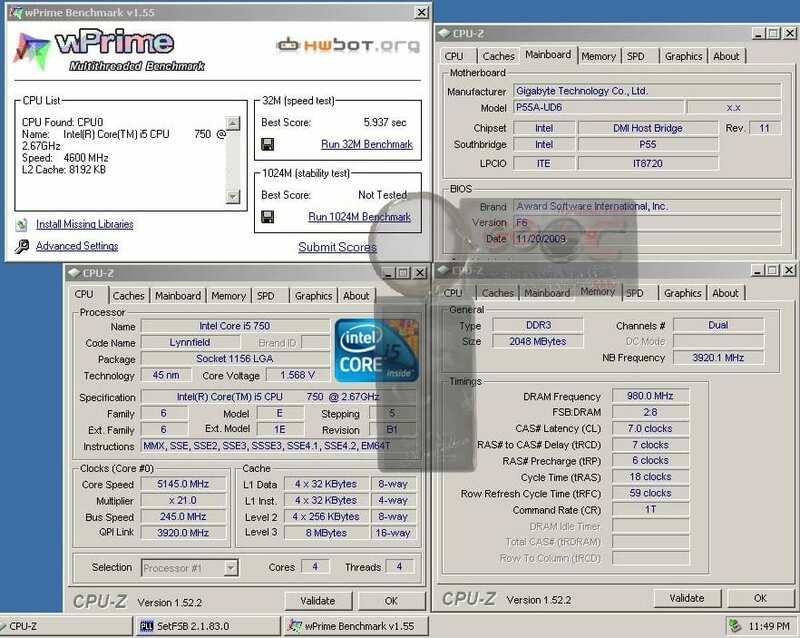 And my last test was done with 3DMark 2005 where I was able to complete the test at 5061MHz for over 42K 3DMarks. 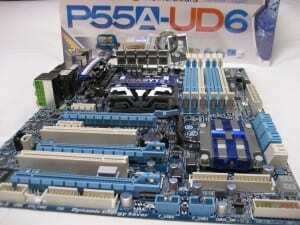 Again, these P55A series boards are so nice to overclock on. Set something and it sticks! Overdo something wrong, it’ll try, fail, and recover itself predictably. 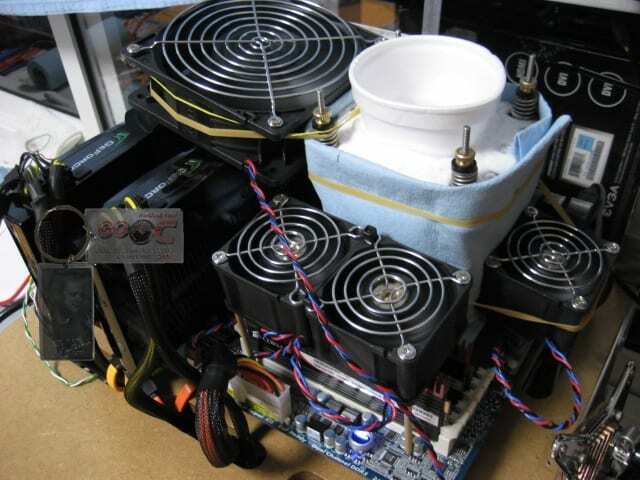 These boards are just SO overclocker friendly! 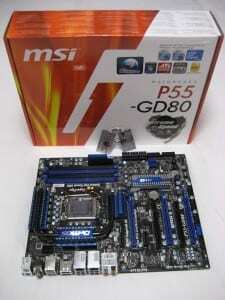 That leaves me with the MSI P55-GD80. There has been a lot of buzz about MSI’s latest P55 offerings, so I felt it only right to see what it could do up against the latest from Gigabyte. This board was a complete pain in the neck and I almost gave up too early to see its potential. Everything was such a pain. One wrong setting and it would go into an infinite boot loop. Normally most boards will recover from a bad OC and allow you to readjust your settings. 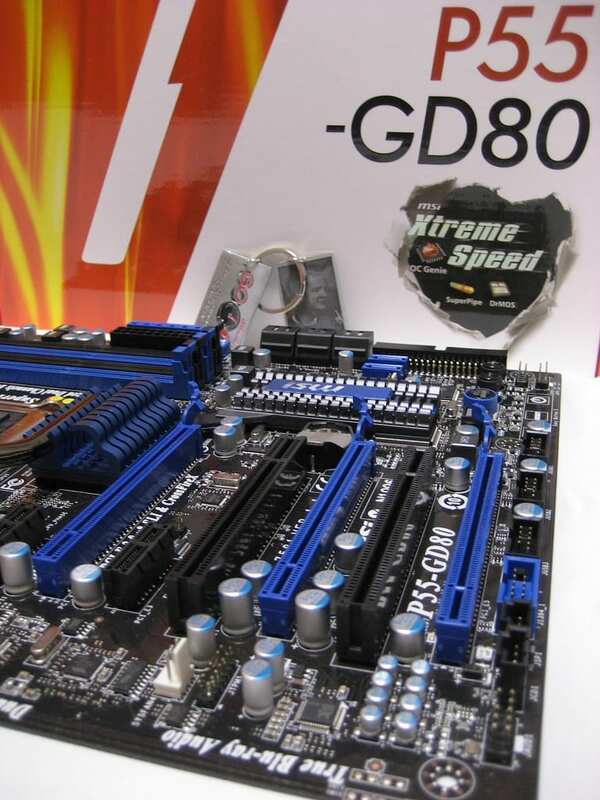 The GD80 always wanted to reset my memory timings. Numerous times, I’d get all the way into Windows thinking I was at my OC’ed settings, only to find my memory back at default. Very frustrating! 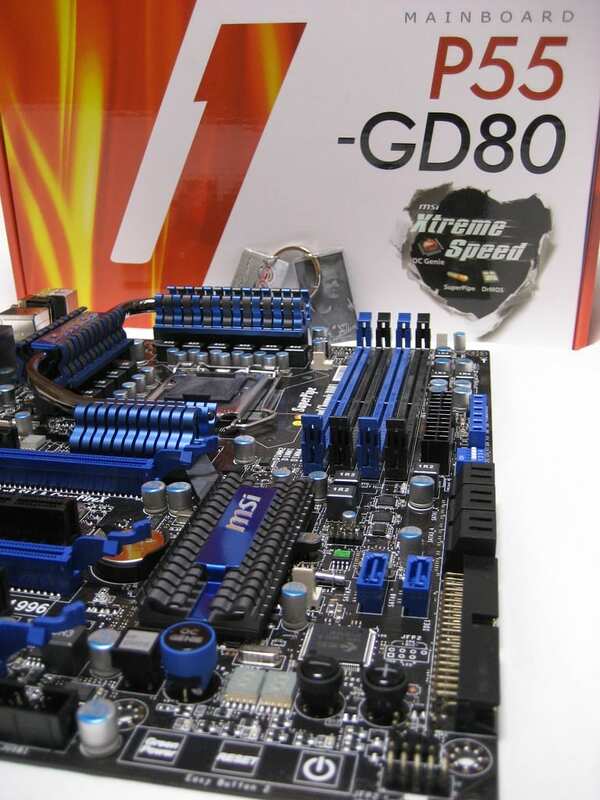 I spent three times as long finding decent overclocks on the GD80 compared to the Gigabyte P55A boards. When I first started playing with the board, I found that a bad OC would cause three reboot attempts before restoring default settings and getting me back into the BIOS. When an OC was good, it would take on the first reboot. So I changed the setting in the BIOS for the # of attempts before recovery. I felt three (default) attempts was wasting my time and providing no benefit, so I changed it to one. This little change cost me three or four hours later. For those of you who decide on an MSI board, please leave this setting at its default value. As we saw in the pictures at the top, this board does have a lot of features to cater to the overclocking enthusiast, but can the board back up the features with some numbers? After RMAing my first sample, biting my nails for hours, drinking enough coffee to kill an elephant, banging my head against the wall, and downing way too much Excedrin…yes! My maximum i5 CPU frequency was 5341MHz, a whopping 7MHz over my best result from the new UD3R. 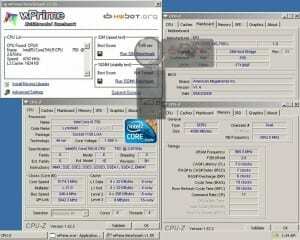 I was also able to improve my i5 wPrime time by a bit, running almost 30MHz higher on the CPU. But the most impressive result was my SuperPI 32M score. 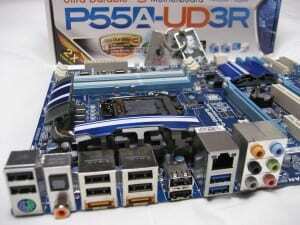 My previous high on the P55 platform was on the new UD3R (shown above). With the GD80 I was able to do quite a bit better. 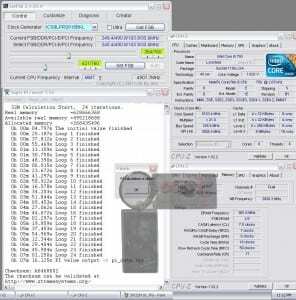 An improvement of almost 8 seconds with 40MHz higher CPU frequency. WOW! 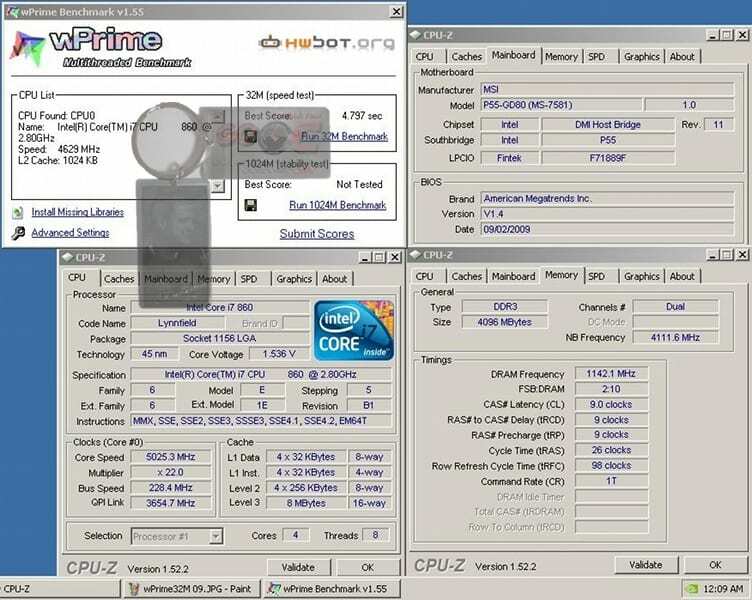 I also earned a fairly nice score with my i7 860 in wPrime 32M on this motherboard. 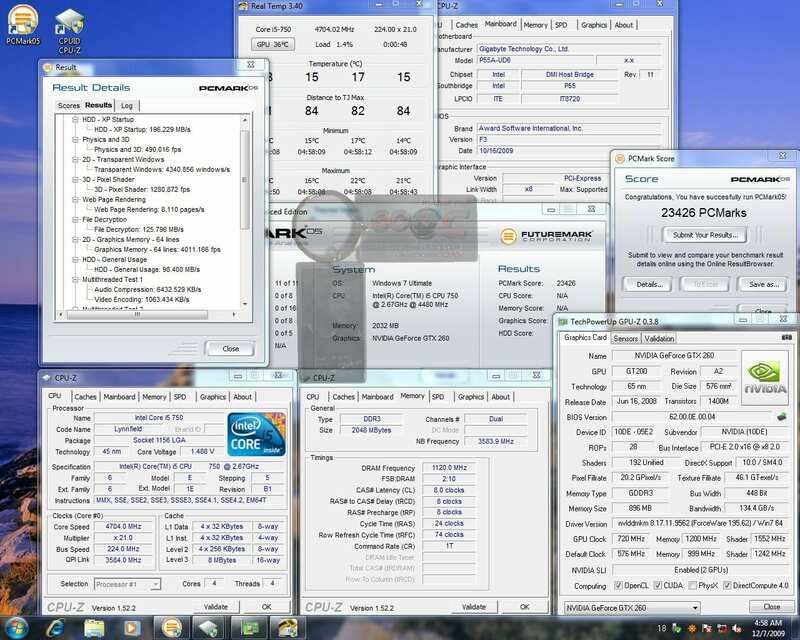 First, here is a quick overview of the highest frequency I was able to attain with my i5 750 on each one of these boards. 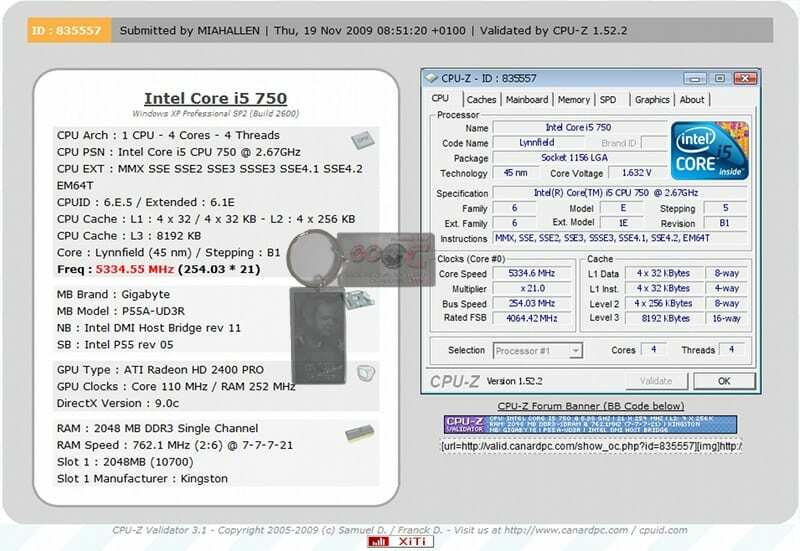 I did not use benchmark results to formulate my conclusion, because the comparison would have been apples to oranges as I was not consistent with my memory speeds and timings. Instead, this was the maximum frequency I was able to attain in each test. Although I did run all four benches on all four boards, some of my scores were too low to save, and because I do not have proper documentation, those results were omitted here. I added this chart as a last minute decision, otherwise I would have saved even those poor scores that are missing. So, based on all of my experience with these boards, I think I can pretty easily draw some conclusions. 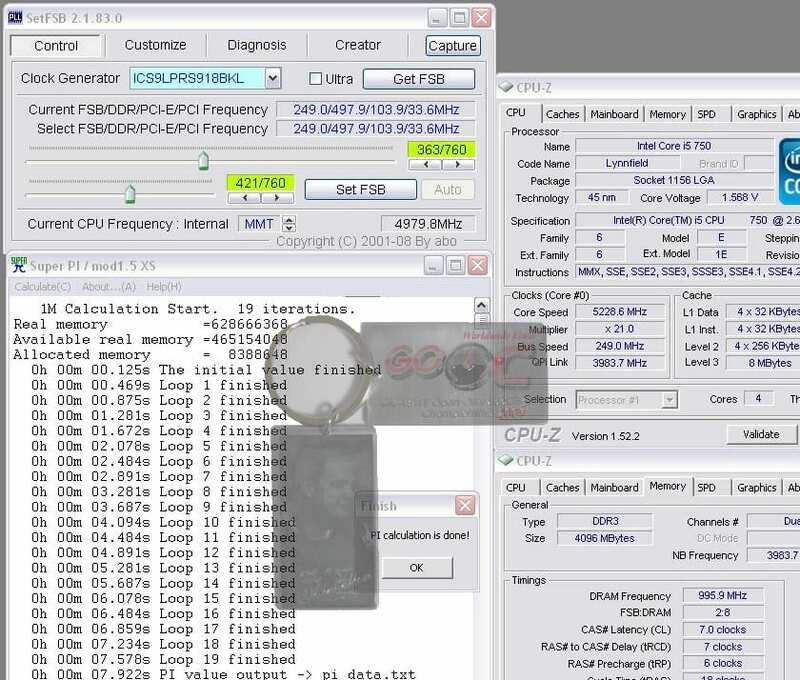 First off, more phases do not mean better overclocking performance. From my experience, an 8+2 phase PWM is every bit as capable as a 24 phase design…so why pay more? Those extra phases do cost, and only you pay it at the register. A quick check at Newegg reveals that the UD6 is selling for $250 where the GD80 goes for $40 less. 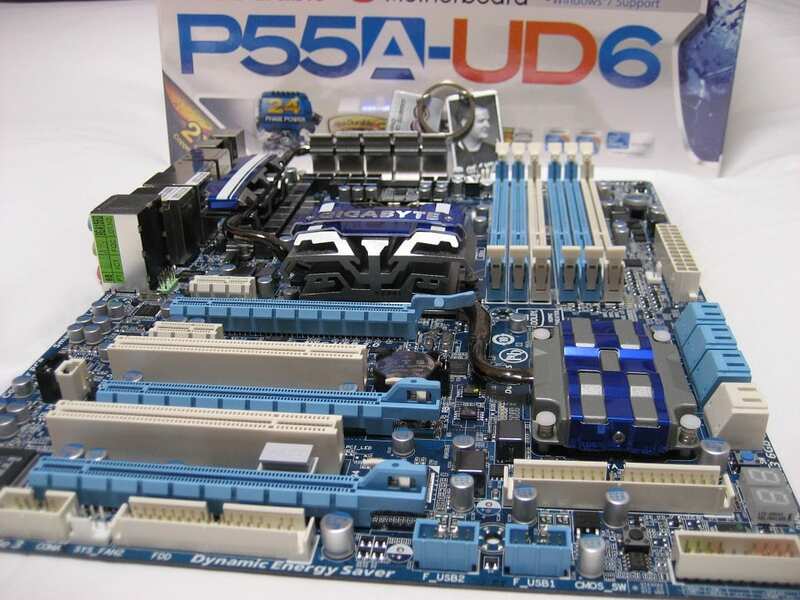 Gigabyte does however offer the P55A-UD4P which seems like a great option as it has the same 12 phase PWM as the UD3R, with the SLI compatibility of the UD6, but is a whopping $65 less than the UD6. I guess my point is the UD6 seems a bit overpriced at this point, and you’d be better off using the difference elsewhere in your build. When it becomes available in the US, the UD3R (already on the shelves in Japan), will be a great option for those users who do not plan to run multiple nVidia graphics cards in SLI. It should also be below the $150 price point. 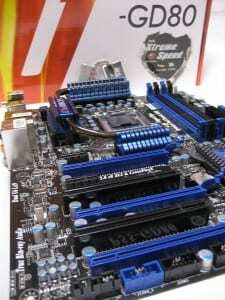 As far as the MSI board goes, overall it does come out on top from a pure performance standpoint. 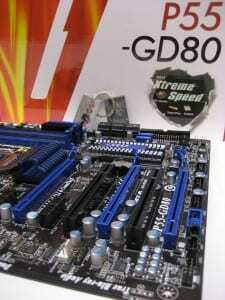 However, I cannot readily recommend it to most overclockers. It’s just too difficult to work with. If you have the time and the determination, I believe it will reward you with stellar performance at a very reasonable price. 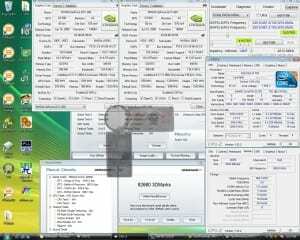 But until they improve their BIOS & overclocking functionality, I’d only choose that route if you’re dead set on MSI. Hopefully the board will improve with future BIOS updates. I also have to echo my sentiments from earlier as well. 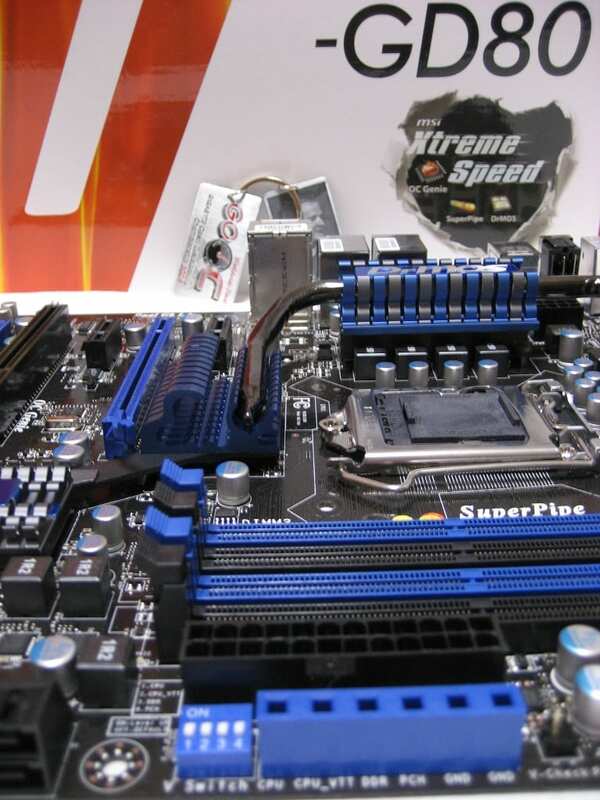 If you’re a performance enthusiast and you are unwilling to compromise on any area of performance, you should be looking at a system build around the Nehalem architecture and the X58 platform. In closing, I’d like to say thanks for listening to my ramblings, and thanks to Gigabyte Japan for these samples. Overall, I’m very impressed with the competent platform they have developed. 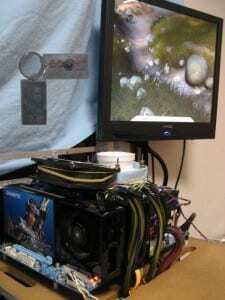 Very overclocker friendly, and a stellar feature set. 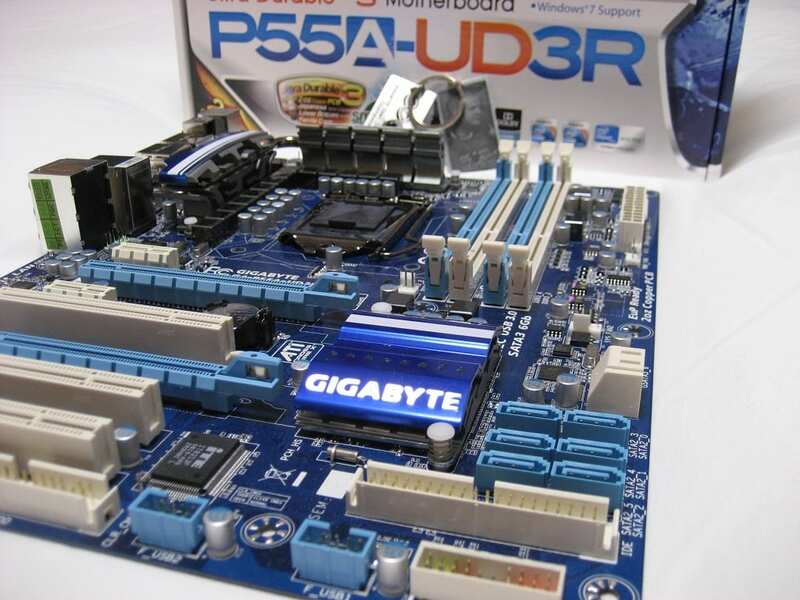 If you haven’t read my articles about the new USB3.0 standard, you owe it to yourself to check it out, amazing stuff, and Gigabyte is one of the first to get this technology onto store shelves. 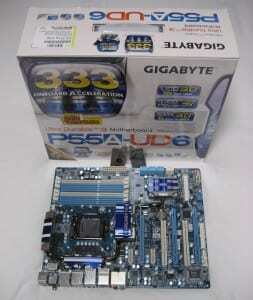 Well done Gigabyte! 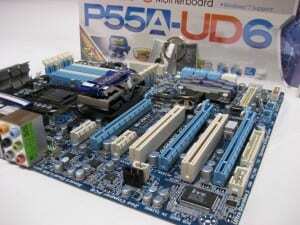 Next Article X58 Motherboard Safari, which one is right for you? So I changed the setting in the BIOS for the # of attempts before recovery. I felt three (default) attempts was wasting my time and providing no benefit, so I changed it to one. This little change cost me three or four hours later. For those of you who decide on an MSI board, please leave this setting at its default value. This series has been a really good read Miah, thanks for taking the time to bring it together for us. 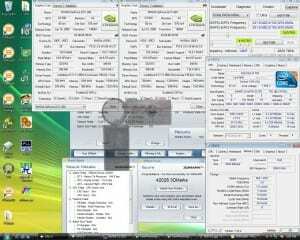 Have you heard about issues with the MSI GD80 elsewhere? I couldn't find any major reviews reporting similar issues, although I saw Deanzo mention the boards are hit and miss also. No, didn't research the GD80 a whole lot. 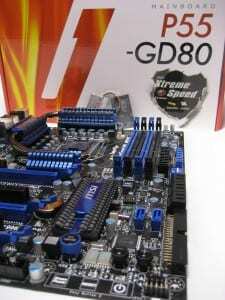 I picked it up to compete in the MSI Speeder Online Overclocking Competition at HWBot (where I took 12th place overall, and 2nd place in the i5 category). Otherwise I wouldn't have had it.